SMART SAFE is a breakthrough system that empowers & protect women all over the world! This special program is for every woman regardless of shape, size or age! 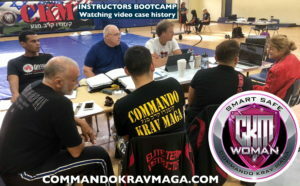 Smart safe build confidence via video presentation, group discussion, drills and realistic technique and tactics that are easy to use when needed! Smart Safe merge situation awareness with prevention tactics that give the women the ability to handle any violent confrontation! Smart safe has empowered women just like you to realize that they do not have to live in fear of physical or mental violance. 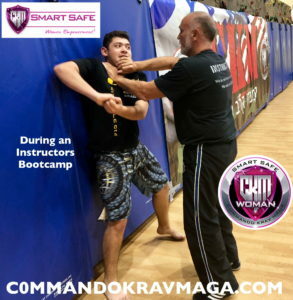 Smart Safe techniques are easy to learn, simple to preform and require very little physical strength. 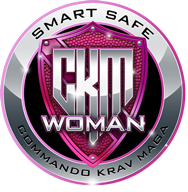 This is the most comprehensive reality based self defense program in the world for women! The Never Give Up Attitude! Be empowered – Don’t live in fear of physical or mental violence! Smart Safe intensive bootcamps is for you. If you are a man or a woman that care about the safety of women in your family or your community, this bootcamp is for you. Become a certified Smart Safe Instructor or take it for self improvement. Enjoy Smart Safe instructional videos in the comfort of your own home. Arrange a single day Smart Safe seminar in your area. Connect with a certified Smart Safe instructor near you.